This is one of the first questions that people planning on flying to Israel ask. Now let’s break those costs down to see where you can potentially save some money. * The Open Skies agreement with the European Union opened the market up to competition. 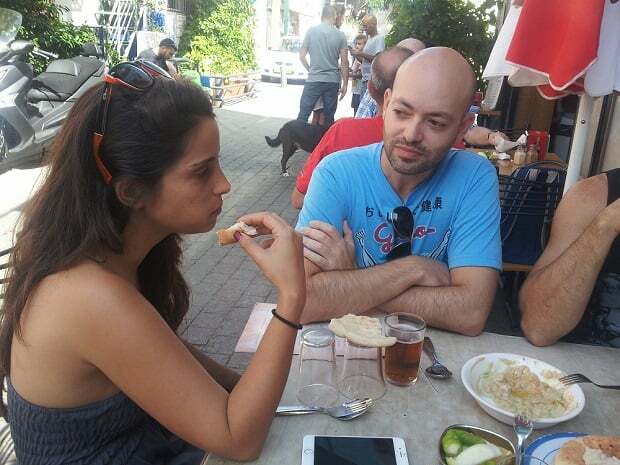 A lot of low-cost European companies entered Israel and prices dropped. If you’re coming from the US then a stop in Europe may dramatically lower the price you pay. 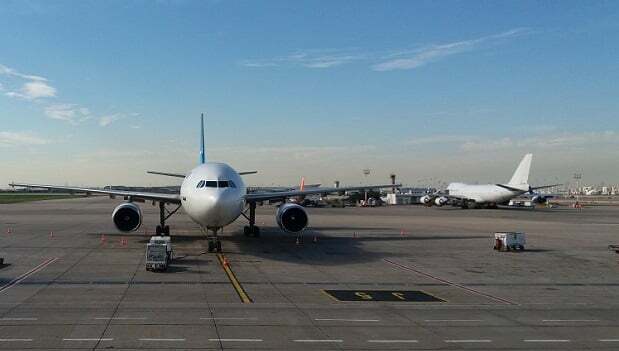 * The Ministry of Tourism is paying those companies that land in the south of Israel (Eilat and Ovda airports), so if you’re planning on staying in the desert, you ought to check it out. Since the Open Skies agreement the number of destinations and passengers has skyrocketed. If you can, try to avoid the high season, especially July and August. The price of flights (and everything else) is high and it gets extremely hot. Accommodation tends to be the biggest expense wherever you vacation and in Israel accommodation is not cheap. Be sure to check whether your visit falls on Jewish holidays because then the prices go up. 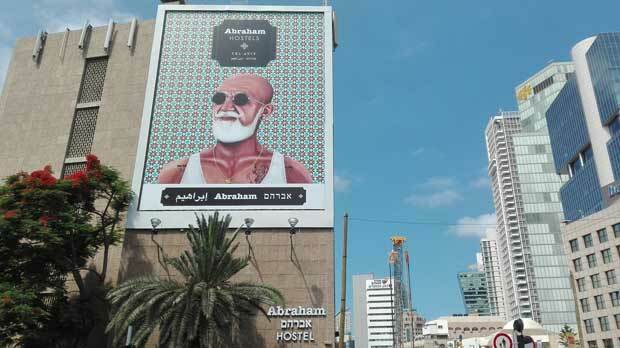 Abraham Hostel Tel Aviv. Offers private rooms with bathrooms so you pay almost half what you would for a hotel and get to enjoy a great atmosphere too. Rooms on upper floors, upgraded rooms and suites cost more. If you’re coming to Tel Aviv to lie on the beach all day before relaxing in your hotel, then you should invest in a good hotel, but if you intend to spend your days exploring Israel, then I would recommend a hostel. There are some great hostels and most have private rooms with bathrooms. Another great thing about hostels that many travelers tend to forget is that you have the option of cooking for yourself. Not only can this be a big saving but, if you’re like me, you might get tired of eating out and just want to cook your own food. Transportation in Israel is fairly cheap compared to that in countries in Western Europe. 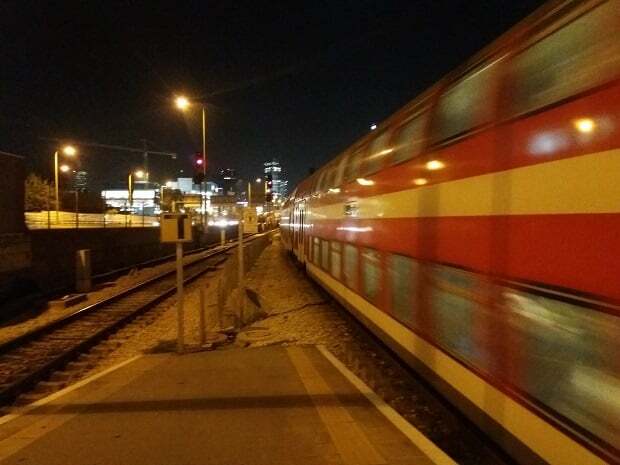 Buses and trains reach most places in Israel. The touristy cities of Tel Aviv, Jerusalem, Haifa and Nazareth are easily accessible with public transportation. The Golan Heights and the Negev are less easy to get to, but it is possible. If you rent a car (which I recommend for traveling in the Negev and Golan Heights), be aware that the price of gas is high in Israel. Car rental, per day: starts at $35 for the smallest car. Trains in Israel. The pros: relatively cheap and you don’t need to buy a ticket in advance. The cons: can get very full, especially on Sundays and Thursdays; they don’t run from Friday midday until Saturday night. The line between Jerusalem and Tel Aviv is not yet running (beginning of 2019). 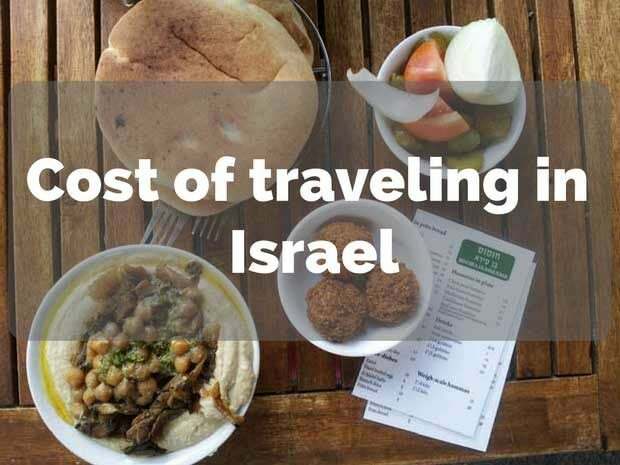 From street food to restaurants, Israeli food is great, but restaurants are expensive and alcohol is ridiculously expensive. Always look at the menu before you order! The cheapest option is to buy your food in a local supermarket. I can really recommend this option because you can learn so much about the local culture from visiting a supermarket. 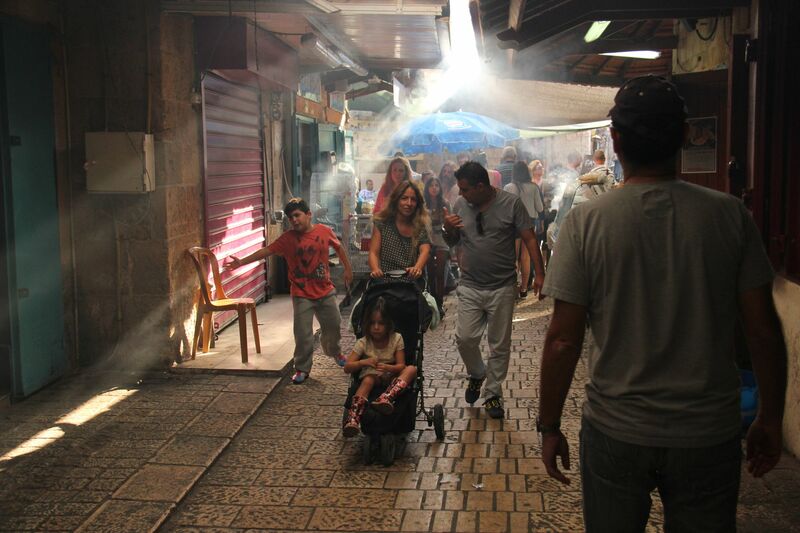 Many of the important sights in Israel are not impressive in themselves. You need to know the history in order to enjoy the sites, which is why the best way to see the country is with a tour guide. But not everyone can afford it. There are cheaper options, such as tip-based tours in Jerusalem and Tel Aviv and, of course, my booklets. Entry to national parks costs 29 NIS per person. Most museums are more expensive, but prices are generally reasonable. I really want to change how individual travelers see and experience Israel and there are a lot more videos and posts I want to create and upload, ranging from planning your trip to Israel’s history and culture. If you’d like to support me, you can do it in one of two ways: by buying my booklets (The booklets are only sold outside Israel, so order now and come prepared! Or download as a PDF or EPUB (e-book). Or, if you’re traveling to Israel, by booking your hotels and hostels through the links on my website. You’ll pay exactly the same amount and I’ll get a small commission that allows me to add more content. Thanks for your support! If you have any questions or comments please write them down here. I am looking for a tour guide for 27th to 30th May? Can you help out? Hey, I work with shin tours so please follow this link – https://calendly.com/11213/oren to schedule a convenient time for someone from my team to call.